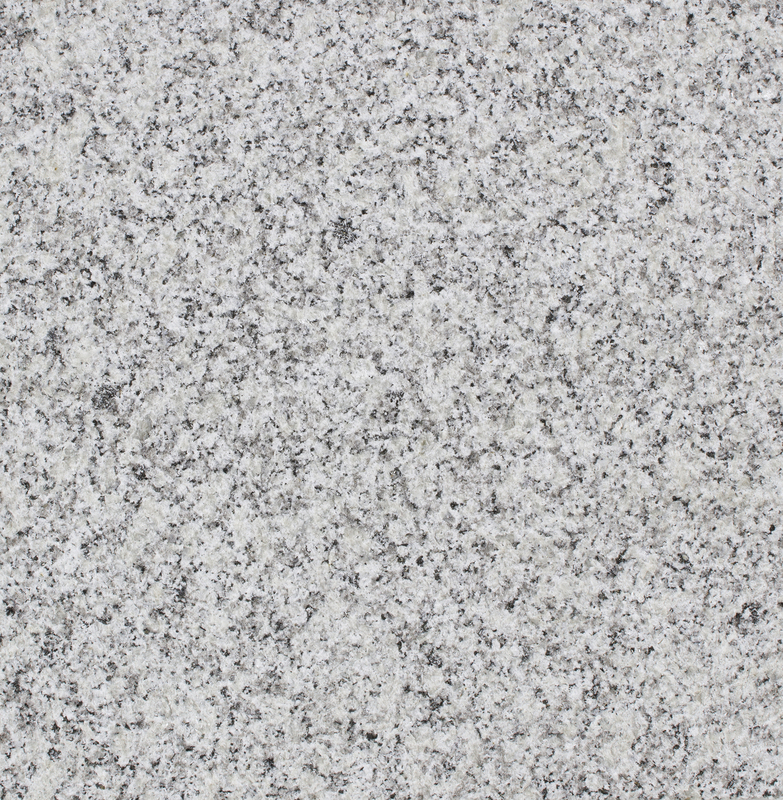 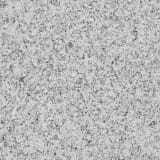 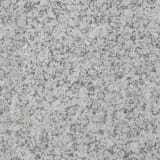 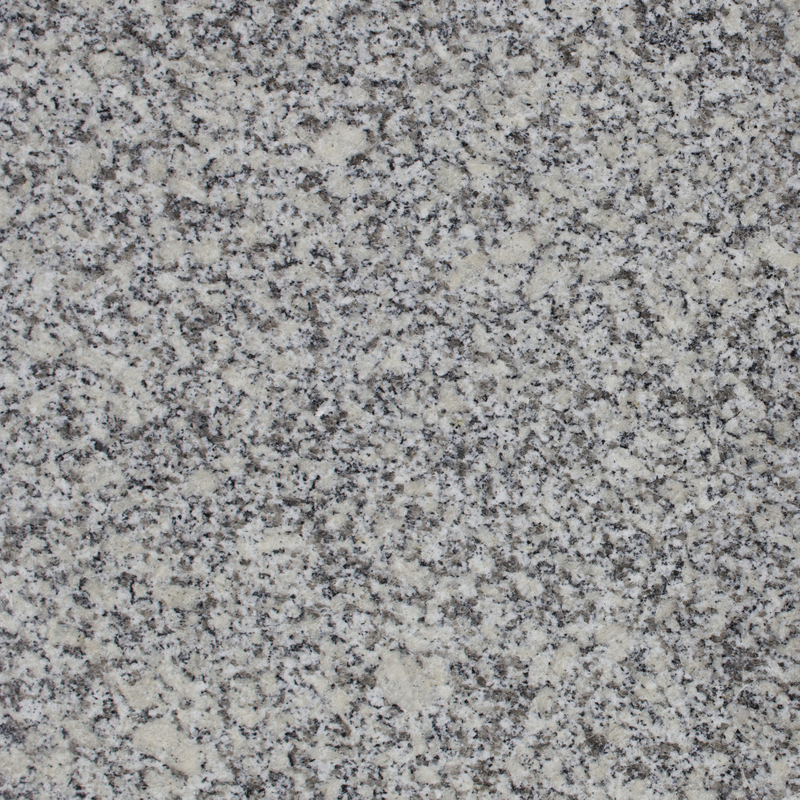 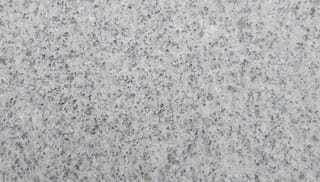 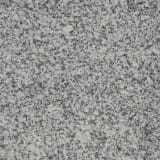 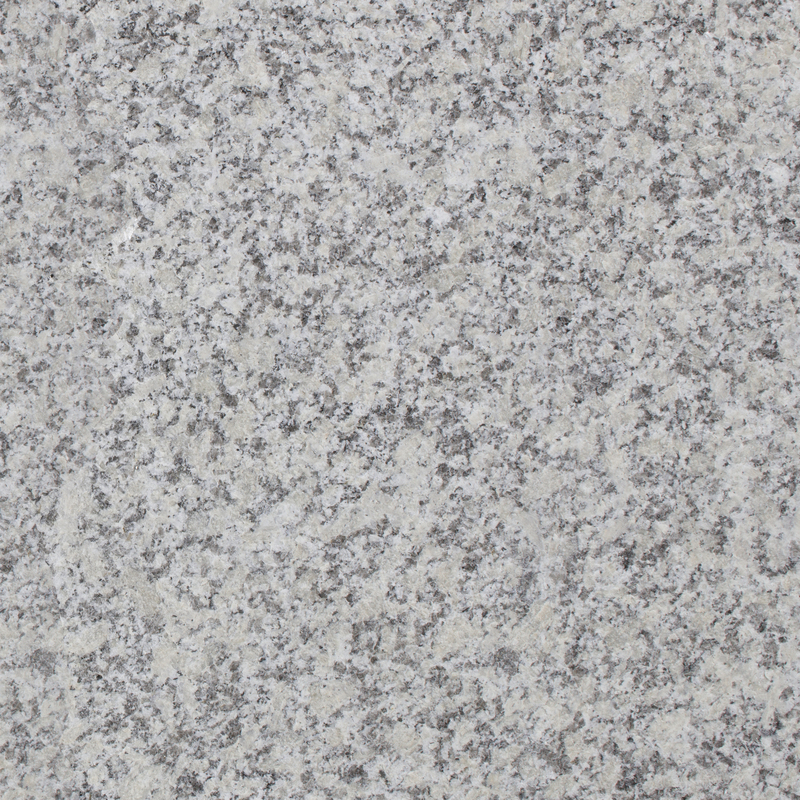 A silver stone with grey flecks, Marshalls’ Callisto Granite can be used across a variety of applications. 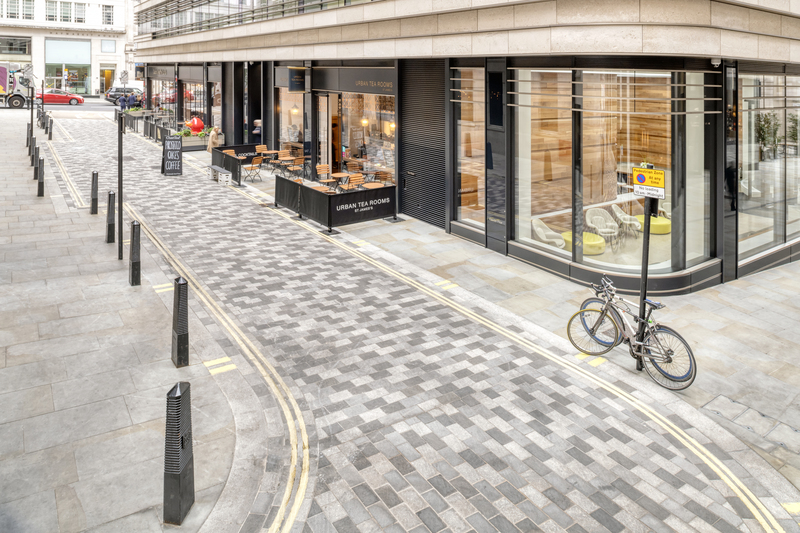 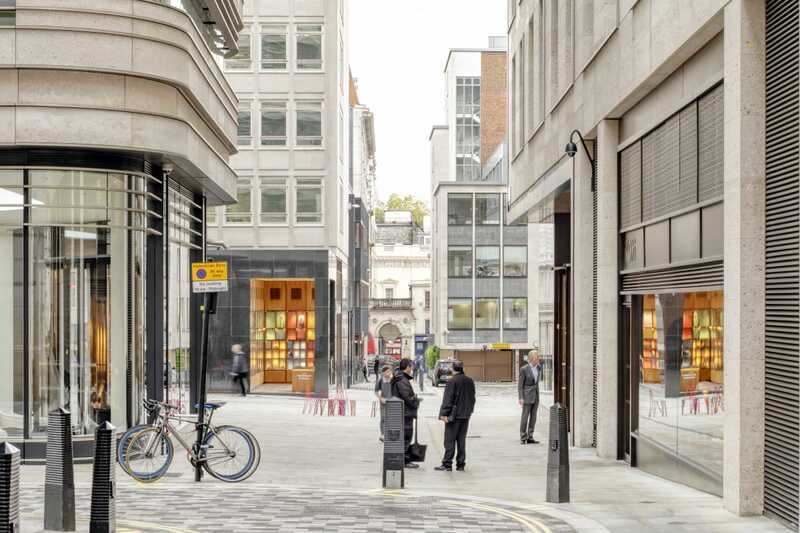 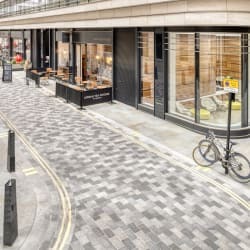 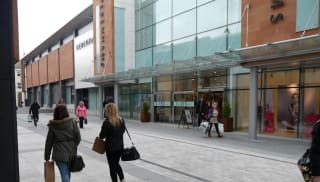 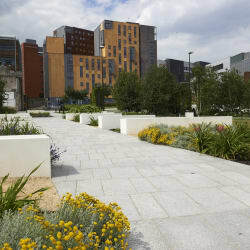 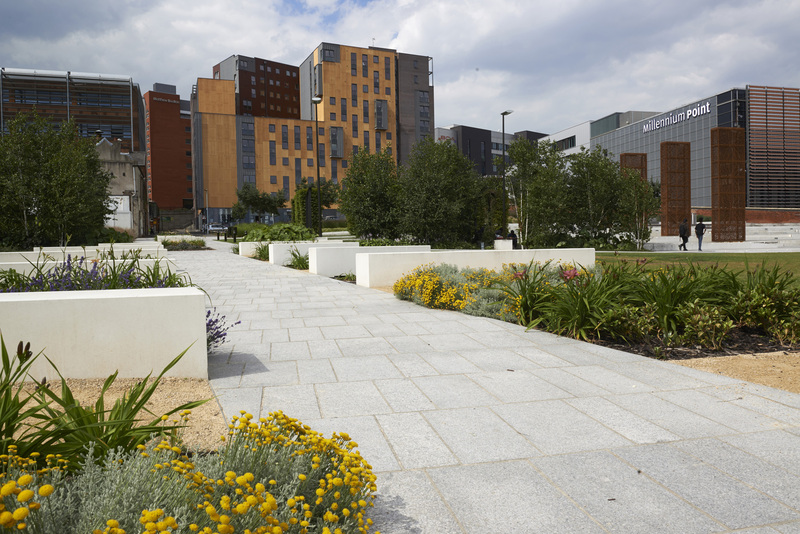 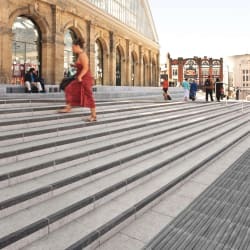 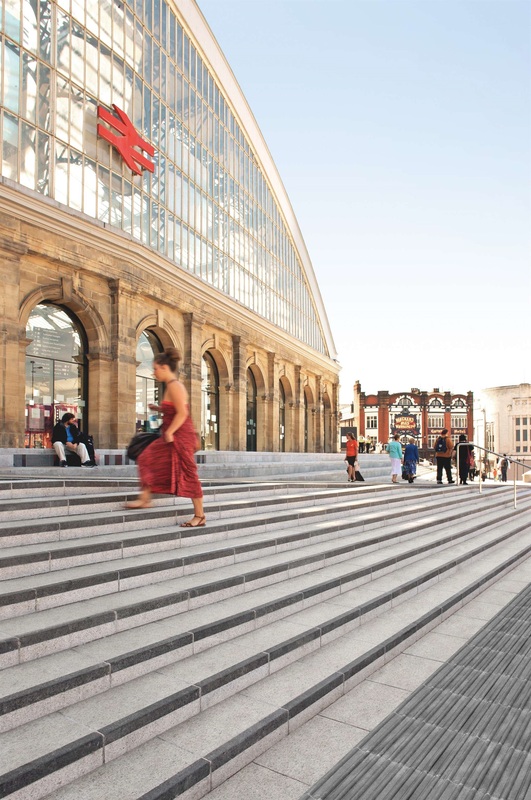 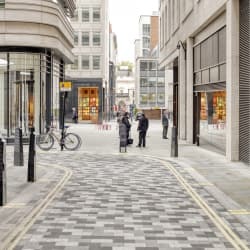 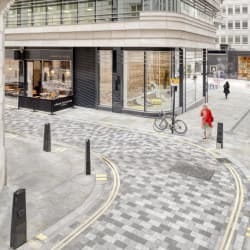 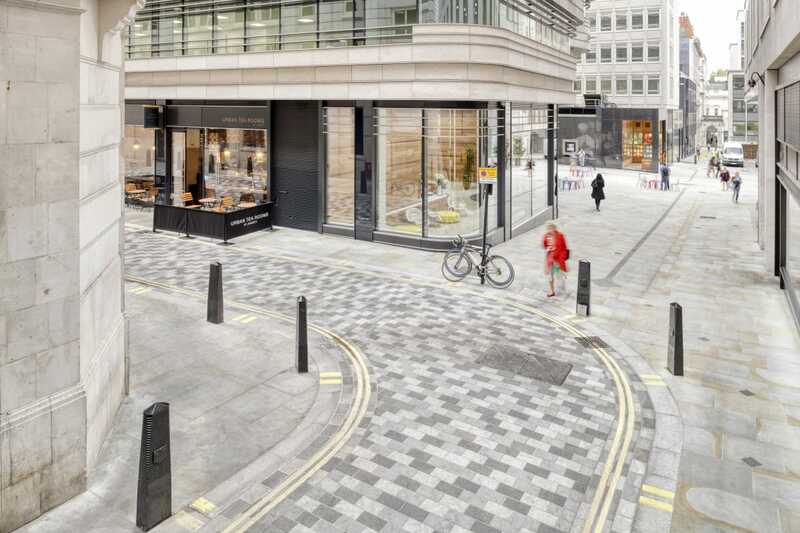 With options including bespoke street furniture and planter veneers, as well as kerbs, steps, edgings, water management solutions, paving and setts, it provides the hard-wearing yet attractive quality that granite is known for. 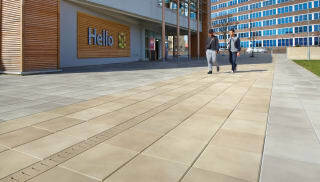 Callisto meets ISO9001 quality assurance standards and comes in 3 finishes. 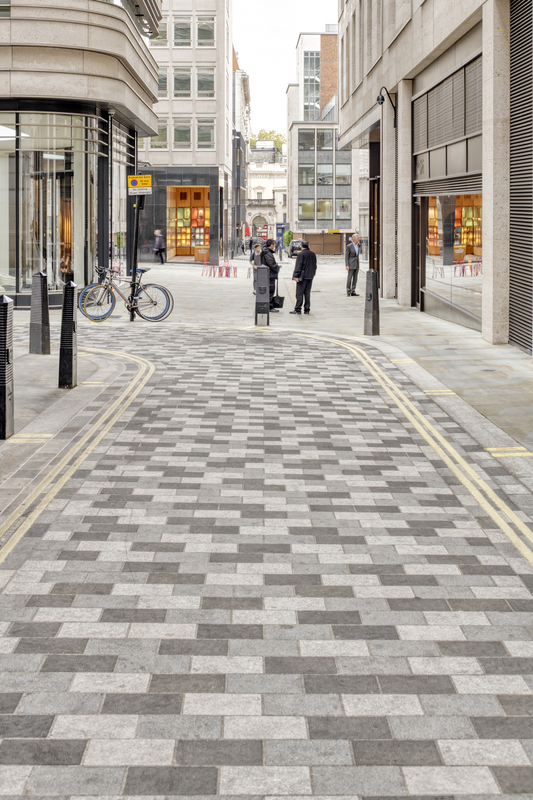 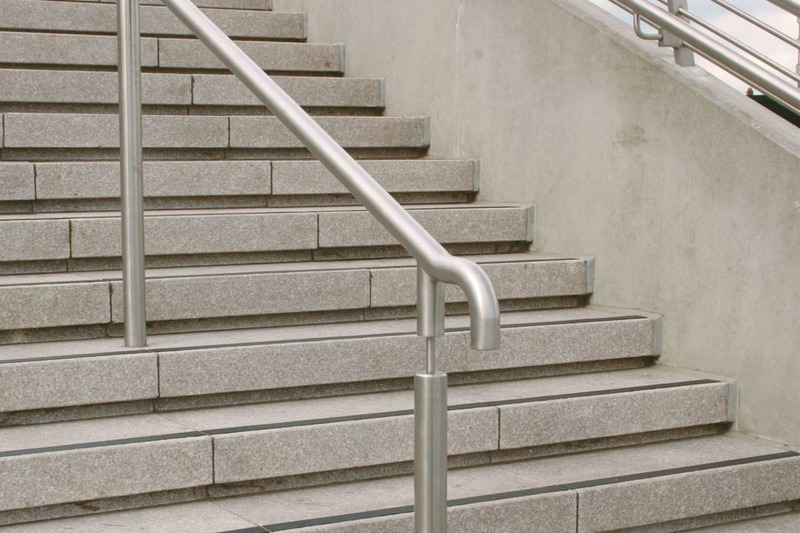 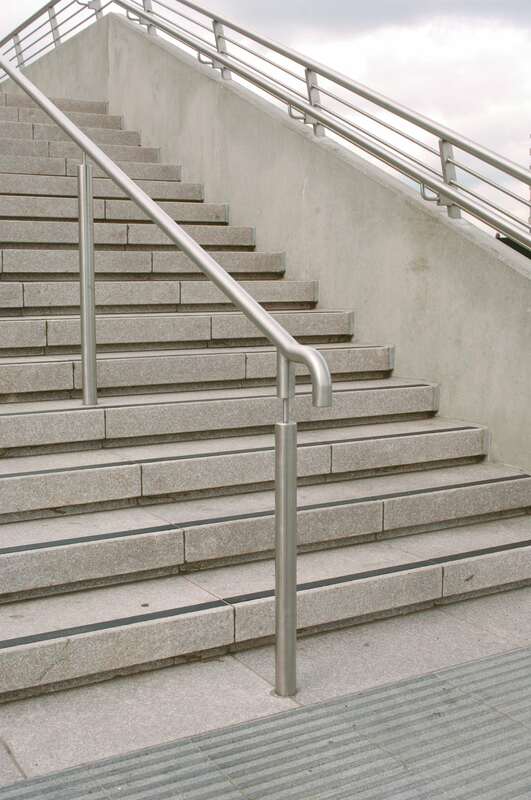 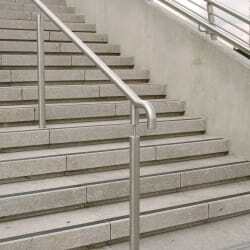 Both the fine picked and flamed finishes are ideal for use in vehicular trafficked and pedestrian areas thanks to their non-slip, non-skid qualities, whereas the polished finish is better suited to street furniture, cladding or internal projects. 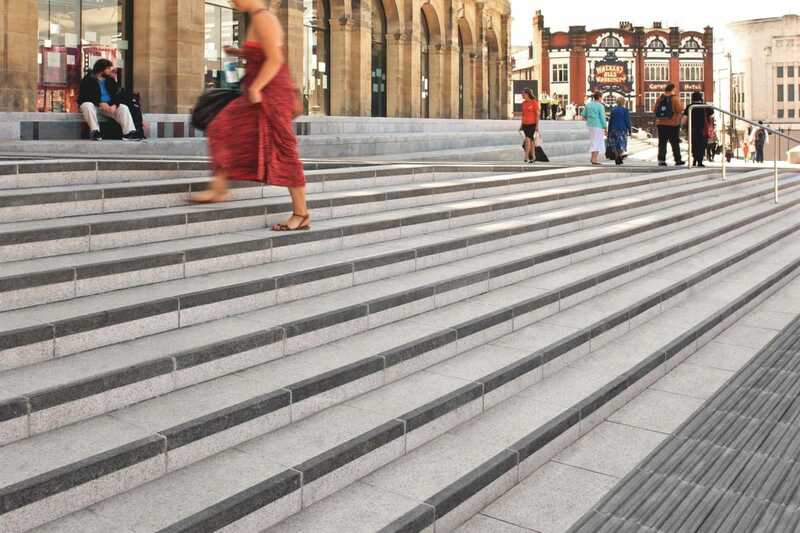 Whether a small or large-scale project, Callisto Granite has the flexibility to be used entirely on its own or mixed with other colours from the extensive Marshalls range.